In just 100 days, the Port of Los Angeles will welcome Royal Princess. From the southern California port, the ship will sail to Mexico, the California Coast, and Alaska. Royal Princess recently completed a multi-million-dollar refurbishment and is ready to sail from LA beginning March 23, 2019. During her renovation, the ship received several new features including the Princess Luxury Beds in every cabin and the Lotus Spa & Fitness Center with the latest in equipment. The ship will also feature the line’s newest production show The Secret Silk, developed with decorated composer Stephen Schwartz. Other shows include Encore, inspired by the line’s top rated Bravo! show with an onstage orchestra, and the Watercolor Fantasy fountain show on the top deck. Inaugural 2019 voyages to the Mexican Riviera include the following dates: March 23 and 30 and April 6, 13, 20, and 27, 2019. 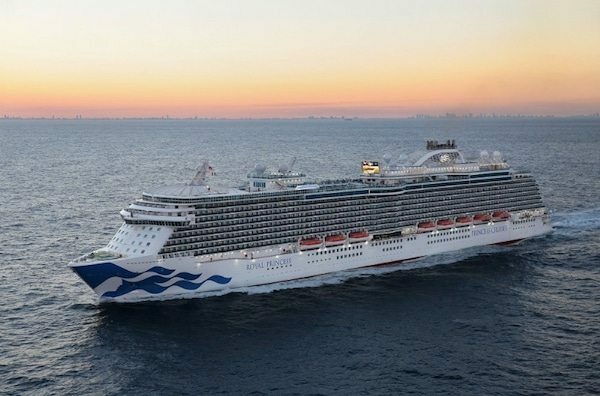 From Los Angeles, Royal Princess will sail up the Pacific Coast on a coastal voyage departing May 4 to Vancouver to begin maiden voyages to Alaska from there. The Alaska season begins on May 11 and Royal Princess will offer “Voyage of the Glaciers” seven-day itineraries sailing between Vancouver and Whittier. Guests can also tack on cruisetours with stays at Princess Wilderness Lodges. The ship will depart Vancouver on September 14 for another coastal cruise, returning to Los Angeles on September 17 to offer a 12-day roundtrip cruise to Alaska. September 29 marks the return of the ship to LA for cruises to the Mexican Riviera again, as well as California Coastal cruises. Free daily gratuities for all guests in a cabin up to four, and up to $800 in onboard spending money per cabin, based on the category of cabin booked and the length of the cruise.